First of all you need to know how easy this is. Then you should know that I'm 100% sure you could have figured out all of these steps on your own, but I thought I would share the process because sometimes it's just nice to follow along with how someone else did it. Did you get a lot of cards from friends and family this past holiday season? I know I did. Tim and I love them all, but our refrigerator was getting pretty full. Time for a crafty solution. We decided to turn our Christmas cards into magnets! Here's how you do it. First, gather all of the cards you'd like to make into magnets and buy some magnetic sheets that are sticky on one side. I used the super cute note I got from Berkley Illustration when I ordered a shark portrait from them, and I grabbed my magnets from Michaels. Cut out the image you want to use for your magnet. Cut out a similarly sized piece of magnetic sheet. It's easiest to cut the magnet separately from the image because together they're really thick and might give your scissors a hard time. Tim and I did a bunch of them. It was a ton of fun!! 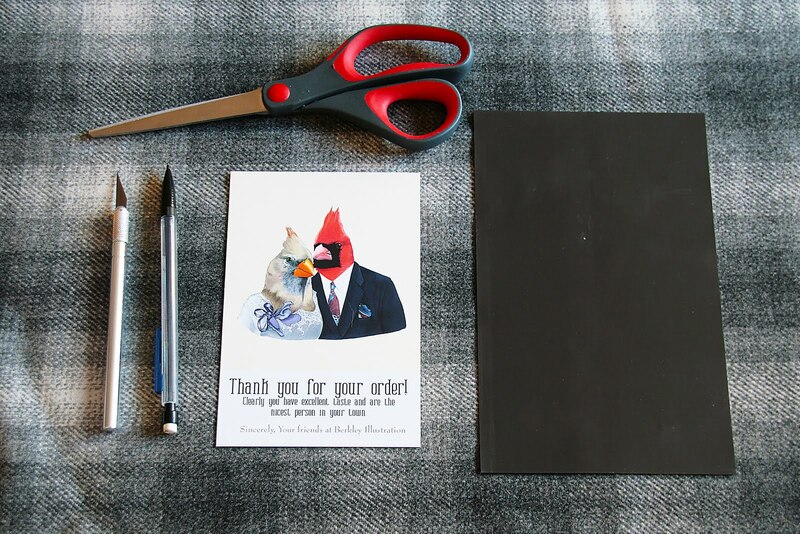 Do you have some pictures or cards you'd like to turn into magnets? These turned out nice! I need to make some new magnets soon too... trying to think of what I want to do. Great idea! That's a great idea. A few years ago I read about someone reusing the fronts as postcards so I have a bunch of them sitting around now too. Maybe one day I'll try this too. Pretty Small Things: air plant homes!